01 February 2019 - Explore Project Officer/ Project Engineer jobs in Hyderabad with 4 years experience via C-DAC. Register here to apply online for similar kind of Project Officer/ Project Engineer jobs. Qualification : First class BE / B. Tech/ MCA or equivalent degree in relevant discipline with 0-1 year of Post Qualification work experience or DOEACC 'B' level with at least 1 to 2 years of post-qualification work experience. or Post Graduate Degree (M.Sc.) in Electronics or relevant domain with at least 1 to 2 years of Post-qualification work experience in relevant discipline. Qualification : First class BE / B. Tech/ MCA or equivalent degree in relevant discipline with 3-4 years of Post Qualification work experience. or DOEACC 'B' level with at least 4 to 5 years of post-qualification work experience. or Post Graduate Degree (M.Sc.) in Electronics or relevant domain with at least 4 to 5 years of Post-qualification work experience in relevant discipline. Skill Set : Knowledge in vulnerability assessment and penetration testing of web applications. Preference will be given CEH/ECSA/other equivalent skilled certifications. Qualification : First class BE / B. Tech/ MCA or equivalent degree in relevant discipline. or DOEACC 'B' level with at least 1 year of post qualification work experience. or Post Graduate Degree (M.Sc.) in Electronics or relevant domain with at least 1 year of Post Qualification work experience in relevant discipline. Skill Set : Strong programming expertise and skills in Python and Java. Working knowledge and expertise in Core Java and Advanced Java. Strong understanding of web-based servers, frameworks, Web Services, and Tools. Good knowledge in handling XML, JSON and similar data formats. Experience of working on ETL tools. Experience in working on time critical product / solution development environment. Good working knowledge in data visualization techniques, analysis and reporting tools. Comfortable with Linux environment and Shell scripting. Good aptitude and knowledge in mathematical modeling. Good Knowledge in SQL, NoSQL databases and data models. Knowledge in statistical analysis with R, Machine Learning, exploratory and predictive modelling of large-scale data. Good problem solving and analytical skills. Excellent verbal and interpersonal communication skills. High degree of initiative and ability to work independently as well as with team. Age Limit : Below 37 years as on last date of application submission. Mode of Selection : Applicants meeting the eligibility criteria will be informed by e-mail, to appear for a 'written test/Interview'. The test will be of objective type covering English, Logical Reasoning, Numerical Ability, Domain Knowledge or specific functions/disciplines. 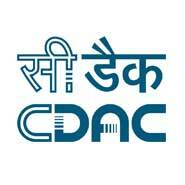 The list of successful/shortlisted candidates on the basis of 'written test' would be uploaded on C-DAC website. Final selection will be based on multi-level interviews to be conducted at C-DAC, Hyderabad. Management reserves the right to change/modify the selection process at any time, during the process, at its discretion. The decision of the management will be final and binding. The last date for onlinesubmission of application is February 15, 2019 (up to 1800 hrs.). Centre for Development of Advanced Computing (C-DAC) is the premier R&D organization of the Department of Electronics and Information Technology (DeitY),Ministry of Communications & Information Technology (MCIT) for carrying out R&D in IT, Electronics and associated areas. Different areas of C-DAC, had originated at different times, many of which came out as a result of identification of opportunities.